Do you want to play it safe and minimize hazards such as loose connections, short circuits or electric shock to your application? 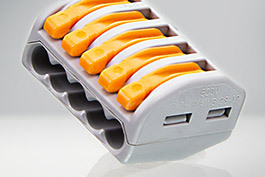 Then our selection of connection terminals from the manufacturer WAGO, the specialist for fastening technology, is just right for you. The family business WAGO founded in 1961 is located in Minden, Germany has a central warehouse in Spondershausen, Germany and more than 80 sales locations. It convinces with products of electrical connection technology and automation. WAGO is never satisfied with existing products but continuously strives to develop innovative products that are not only distinguished by their quality but also by easy and safe handling. To ensure future innovative developments creativity and perseverance are indispensable. WAGO ensures that its production complies with environmental protection. By using geothermal energy and rain water as well as recovering heat ecological thinking is put into practice. WAGO is convinced that long-term success is only possible with sustainability. The current success speaks for itself. WAGO is in particular known for its PUSH WIRE installation connectors for junction boxes developed in the year 1947 enabling fast and uncomplicated connection of one-wire conductors. In the year 1977 another innovation followed - the CAGE CLAMP connection. The connection via cage clamps is a reliable alternative to the screw connection since the risk of a loose contact, short circuit or electric shock is minimised. By now there are various cage clamp systems that are continuously enhanced to cover different requirements. Industry can no longer be imagined without WAGO products that are part of the standard repertoire of many companies. 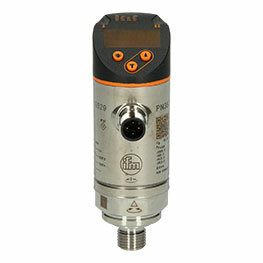 Automation24 offers a variety of products for automation technology at unbelievably low prices. For example connection terminals from the field of connection technology from the manufacturer WAGO, the world's market leader for cage clamp technology. Whether 2-pole, 3-pole or 5-pole terminals - you'll find everything here. All WAGO products meet the requirements of DIN ISO 9001, ISO 14001 and IRIS. Find WAGO products suitable for your application. At Automation24 you get connection technology at low prices.